Time Machine Pick: Google vs. Facebook in 2012: How Is the SEO World Changed? Let’s play a game. Let’s pretend that one of our talented employees developed an Internet time machine and traveled forward in time so she could copy and paste an article that we will publish on our blog in February 2012 – seven months from now. Sadly for me, her program collapsed before she could check out some news sites and peruse the stock market. Sigh… foiled again. 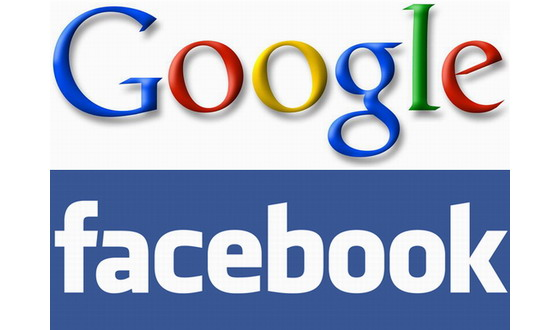 Google vs. Facebook in 2012: How Is the SEO World Changed? If you haven’t signed up for Google+ and you haven’t migrated from Facebook, you’re among the remaining 35 percent of the social media late-boomers. Almost 65 percent of those who only used Facebook a year ago are Google+ fans now- while some still check their Facebook accounts. Google once again has beaten another IT giant by building a more successful social media platform that is much savvier, easy to use and more intuitive than Facebook. Only a few years ago, Google beat Yahoo! with its Gmail account and later bought YouTube to become the owner of the most visited sites on the planet. As a result of Google+’s success, Facebook – which was at the top of the social media world just six months ago – lost more than 50 percent of its stock market value since July 2011. So now the question is this: how does Google+ play into SEO, and how are we going to get our clients ranked at the top of Google (Google+ uses the same algorithm as Google search)? Since Google launched its new algorithm “Grizzly Bear” in December 2011, the results of every search you make today is unique to you and is based on the +1’s your friends, their friends, and friends of friends have given any particular website (given that you’re logged in to your Gmail account). And in general, the more +1’s a site has, the better it ranks on Google. This doesn’t mean the back-links have lost their importance, but rather, back-links now work hand-in-hand with +1’s. SEO used to consist of three parts: content, optimization and back-links. Now +1 is another main factor in ranking on Google. Adding +1’s to your site is more difficult than the other three factors and thus “manipulating” Google SER’s is not as easy anymore. 1- Add the +1 button to ALL the pages of your site. Any visitor who goes to your site needs to have the ability to “vote” for your site. 2- Encourage your constituency (friends, clients) to +1 your site. This will increase the number of people you’re exposed to and therefore your +1’s will continue to grow. 3- Write GREAT content for your site and keep it up to date. As we have said for many years, become an authority in your field and be interesting for those who find your site. 4- Increase your site’s traffic in any shape or form possible. Run banner ads if you have to and sign up with Google Adwords. The more visitors your site gets, the better chance you have of getting +1’s. We expected Facebook to launch its search engine a while ago to compete with Google. But Microsoft took longer than expected to give the green light to Facebook and integrate its search algorithm with its partners’ social media platform. Now it seems to be too little, too late. I conducted a few searches on FB search and compared the results with Google. Its weakness is that FB search only indexes sites that have been linked to from Facebook.com – leaving many sites out there un-indexed. Also, its algorithm is just based on the “likes” and on-site optimization and is leaving backlinks out. This is a fatal error of FB search developers. I conclude that FB search is going to be a total failure just like Yahoo! and Bing and their merger. Google has more or less monopolized the search market, as well as the social media market. That, plus its advancements in word and spreadsheet processing, Google Maps, YouTube and their other FREE services, is going to guarantee their long-haul dominance over the Internet world. But there are always ways to do things better, and Google needs to be very careful not to start late – as it did in the social media war. Google got lucky this time around, but it may not be so lucky the next time. If The apple company didn\’t make coeuptmr systems as well as Local cafe didn\’t make espresso, how come experienced they will turn out to be thus prospering? Right onto your pathway to achieve the most innovative and most attractive items, although intoxicating, can be a fairly packed location. If possible, The apple company and also Starbucks constructed their very own area of interest. We still don’t know what the next step of Facebook will be. Let’s just wait for that! I have a feeling that Facebook’s next weapon would be pretty strong and deadly! Love Google Plus from Lebanon… very successful and getting good things using it: being a TV as host and magazine interviewer, as well as gaining three important contacts. Love it. Nice post and amazing information about SEO . if +1 was another algorithm in page ranking, +1 buying would be another pain-in-the-you-know-where for those who are doing seo legitimately. but i guess google is not that stupid to create such a tool and let it open for abuse. i believe it is not just the number of +1s that counts. there could be something else. we see google+ votes is one of the top social stuff but here is also many site like that gplusvotes.com now its time to see their activities and how much they will satisfy us with their performance. will come here to see your reply, thanks. Awesome post, keep up the good work!!! Very Good Information sir Keep It Up. Thanks for your tips Ali great site with great information. Thanks for your tips Ali great site with great information! Google is the king and Still with google. Absolutely interesting and nice….. I like google + very much. Realy It helps us in SEO Purpose. Thanks for providing such type of info. Google+ is able to grab the attention for sure in the beginning but facebook who has come so far will be a tough competitor for Google to beat. But surely Google has proved many times its credibility. I got nervous when you said the backlink of a site will lost of value in google SERP. Sorry, I read your post too fast and skip certain words. Since I take google as my benchmark of search ranking, master google is one of my top resources for google news. Thanks for keeping me updated. AAhhhh…surely google will beat FB!! Go Go Go Go Gooooooogle!! We still don\’t know what the next step of Facebook will be. Let\’s just wait for that! I have a feeling that Facebook\’s next weapon would be pretty strong and deadly! Thank you Mr.Ali husayni for your tips (SEO).